Millions of people choose to travel by air every day. Many do it for business often, and have become accustomed to the lifestyle, whereas others may never step foot on an airplane. Traveling by air is very convenient and fairly straightforward, but there are some key things you’ll need to know before heading out on your first flight. Here are some basic guidelines to help you prepare. Decide ahead of time how much to pack for your trip. 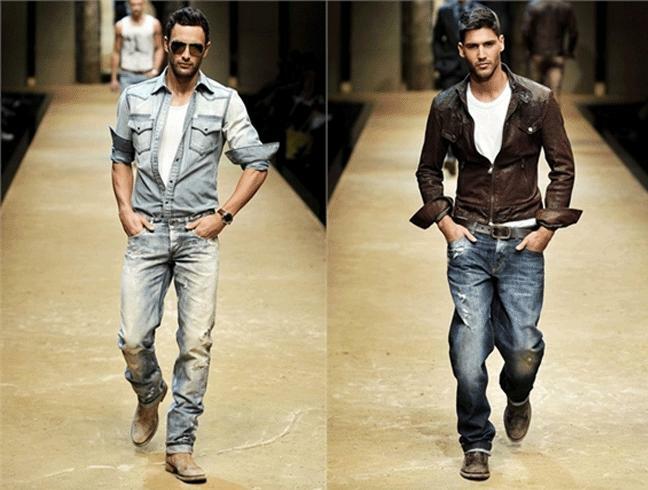 It’s always a good idea to bring at least one or two extra outfits, and be ready for any scenario you might encounter while you’re away. Traveling is stressful enough — don’t put yourself in a position where you’ll have to find a laundromat or buy new clothes because you didn’t pack enough, or because you packed the wrong things. 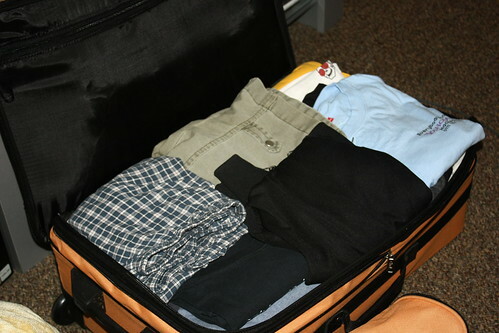 Fit more items into your suitcase by tightly rolling them, as opposed to folding them. This allows for much more efficient use of space in your suitcase, and can help reduce wrinkles on some fabrics. Other fabrics, like cotton button-down shirts will travel better when they are folded. U.S. airport security requires you keep any toiletries in your carry-on bag under three ounces. They also ask you to separate them from the rest of the contents in a plastic bag, so it’s easier to inspect them at the security checkpoint. Checked bags don’t have this requirement, though there are hefty fees for checked bags over 50 pounds. Throw your pocket knife, tweezers, nail clippers, scissors, and any other small sharp objects into your checked bag, but leave them out of your carry on. The Transportation Security Administration (TSA) prohibits these items in the cabin of the airplane. Unloaded guns and other firearms are permitted in checked baggage by the TSA (that is, assuming you have all the correct permits), but some airlines have added restrictions. Check with your airline before leaving for the airport to verify their standards. Make sure they’re packed in a hard-sided container, and you’ll need to tell the attendant that you’re carrying a firearm when you check the bag. Many people choose to travel using only a carry-on bag. This is beneficial for those who are traveling for three or less days, because there are size limits for bringing luggage into the cabin of the aircraft. The Federal Aviation Administration (FAA) advises that most airlines require carry-on bags to be no larger than 45 linear inches. This includes the total of the height, width, and depth of the bag. Many people find it beneficial to bring a carry-on bag for long or international fights, so they can have access to their personal items throughout the flight. You’ll want to check a back if your trip is going to exceed three days, or if you’ll need to bring liquid items larger than three ounces. It’s all so convenient to check a bag if your flight includes a layover or two, so you won’t have to lug that massive suitcase through multiple airports. Many airlines charge a fee for checked bags, but some (like Jet Blue) will allow you to check your first bag free of charge. Take advantage of these perks, and bring as much as you’d like on your trip. TSA requires that every passenger carry federal or state-issued identification. Acceptable documentation includes drivers license, passport, military ID, and permanent resident card. If don’t have the proper identification, they may be able to verify your identity by using public databases, but this presents a whole new set of hassles. Make sure to bring proper identification so things run smoothly throughout your trip. Traveling for the first time can be an intimidating, hectic experience. Knowing what to expect and being prepared for all requirements will make sure it’s an enjoyable experience for everyone involved.